A state appeals court ruled that certain cereals can be sold without Proposition 65 warnings – even though they may contain a listed carcinogen. In the unanimous decision, the court decided that placing warning labels on otherwise healthful foods could dissuade consumers from purchasing these products, thereby depriving them of the many health benefits associated with cereals that contain whole grains. This is not the first time a court has determined that warnings are not warranted when a product’s benefits outweigh its potential harms. These decisions suggest that the presence of a listed chemical may not presumptively necessitate a Prop 65 warning when other factors do not support its inclusion. Cereals such as Cheerios and Grape-Nuts Flakes, produced by Post, General Mills and Kellogg, contain a chemical known as acrylamide. If acrylamide sounds familiar, that’s because it is the same chemical that prompted a court decision requiring Prop 65 warnings on coffee products. Acrylamide is known to cause cancer when administered to rodents in high doses. But unlike coffee, the foods at the center of this case contain whole grains. The nutritional value of whole grains is promoted by the government as part of a healthy lifestyle. The court considered these factors – the benefits of consuming whole grains vs. the risks of consuming products that contain acrylamide ‒ and found that a diet rich in whole grains offers too many tangible benefits to risk scaring consumers away. The defense case included letters from the U.S. Food and Drug Administration to officials in California that convincingly described why Prop 65 warnings on whole grain cereals would be detrimental to the health of consumers. The court agreed and added that other healthy foods, such as peanut butter and rye, also contain the carcinogenic chemical and placing warnings on all these foods would wrongfully persuade consumers that these foods are categorically unhealthy and should be avoided. The lawsuit, which was brought by a Walnut Creek physician, requested that Prop 65 warnings be placed on 59 different cereals. 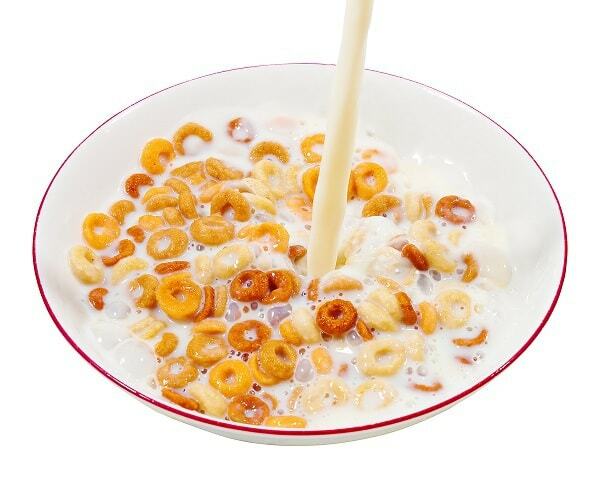 The court rejected the plaintiff’s argument that the cereal companies would be motivated to make their product safer if Prop 65 warnings were mandated. The FDA also noted that efforts are being undertaken to reduce acrylamide in foods but alterative reformulations have their own risks and disadvantages. next post: Getting to the Bottom of the Coffee Debate: Is it Safe to Drink?